Loosen stiff, painful joints and muscles quickly. This fast acting spray can be used throughout the day to get you moving and then keep you moving free from pain. JointEze Freeze Spray can loosen stiff, painful joints and muscles quickly. This fast acting spray can be used throughout the day to get you moving and then keep you moving free from pain. 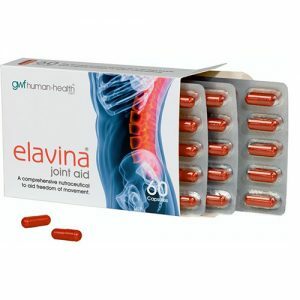 It is ideal for those sudden muscle or joint pains you can experience any time, whatever you are doing! 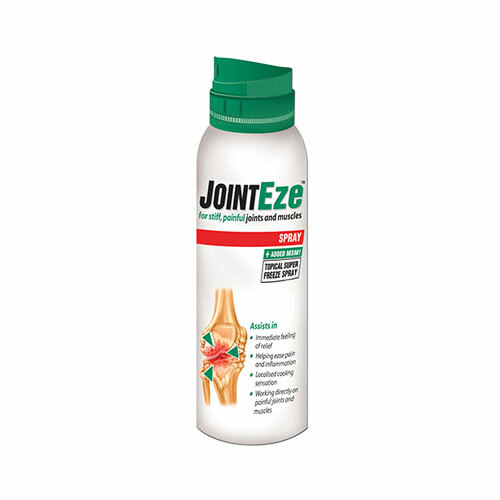 JointEze Freeze Spray is a cooling aerosol spray working directly on painful, stiff joints and muscles. 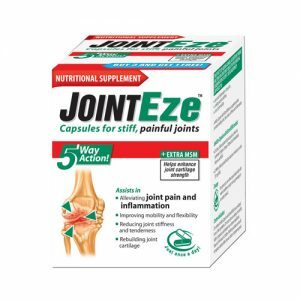 Being topical, JointEze Freeze Spray provides an immediate feeling of relief by cooling the affected area, helping ease the pain and inflammation in your joints and muscles. Each 125ml contains Dimethyr Ether, Alcohol Denat, Aqua, Dimethyl Sulfone, Laureth-9, 2-Pyrrolidone, Menthol, Menthyl Lactate, Peppermint Oil. Simply spray JointEze Freeze Spray directly onto painful joints and muscles. Test for sensitivity on the inside of the forearm. If spray makes contact with eyes, rinse immediately with clean water.